The Victoria 2 encyclopedia that you can edit. Want to help out but not sure what you can do? Check out the work needed page! 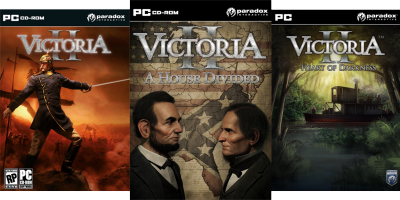 Victoria II is a grand strategy wargame developed by Paradox Development Studio and published by Paradox Interactive, sequel to 2003's Victoria: An Empire Under the Sun. This Victoria 2 Wiki is intended as a repository of Victoria 2 related knowledge, useful for both new and experienced players and for modders. Anyone can contribute to the wiki. If you want to become a contributor please register (though you can also edit anonymously), and check out the work needed page. If you spot anything in need of improvement, don't hesitate to make an edit. Version compatibility template to specify for which version of the game your article is up to date. This wiki was started on 2nd of April 2013! This wiki was moved to independent hosting on the 16th of April 2013! Heart of Darkness released 16th of April 2013! Everything from the Paradoxian Vicky 2 Wiki was imported on the 21st of April 2013! A Paradox Wikis portal was created on the 2nd of July 2013!